The accredited* courses/workshops are endorsed by ODF. They have met a comprehensive set of minimum requirements jointly developed by academics and practitioners. 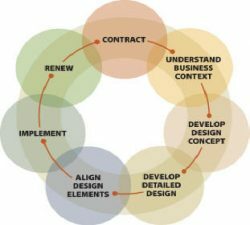 *Are you interested in getting your organization design training accredited? This section includes courses/workshops that have not gone through the accreditation process but that have been recognized within the Design Community as substantive and valuable to practitioners. Provides core principles, frameworks, models, and tools. Using the Star Model, we address core building blocks of design and strategy. If you or your organization has a workshop that is not included in this list, please provide a paragraph about the delivery history of your course, a table of contents, and your contact information to info@organizationdesignforum.org. Interested in the accreditation process?